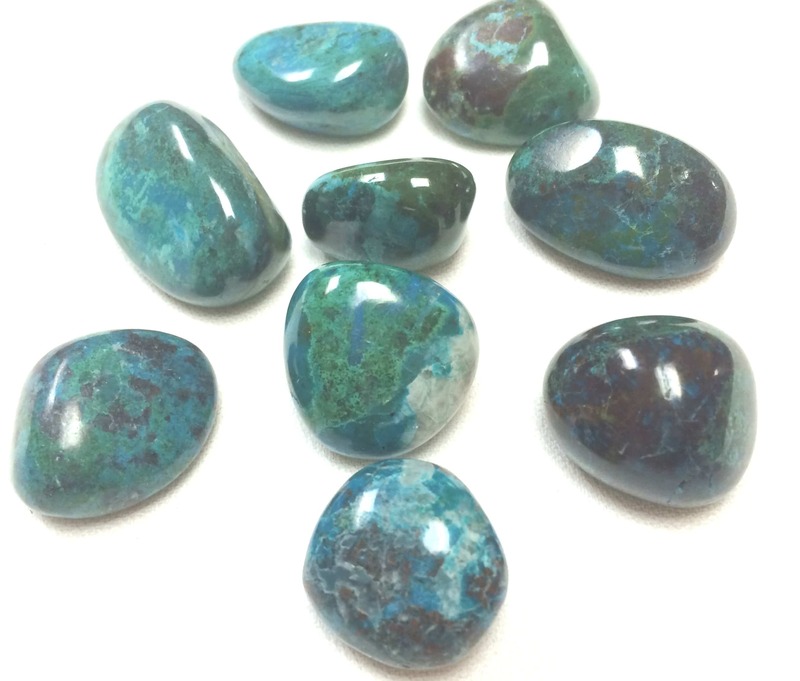 Affirmation: I am cared for, loved, and appreciated. My heart is open. I allow love to fill me up—body, mind, and soul. 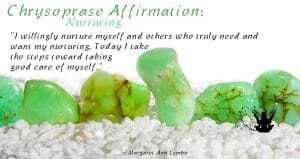 I nurture myself. Today I take good care of myself. 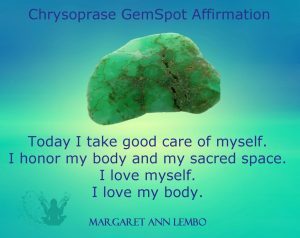 I honor my body and my sacred space. I love myself. I love my body. 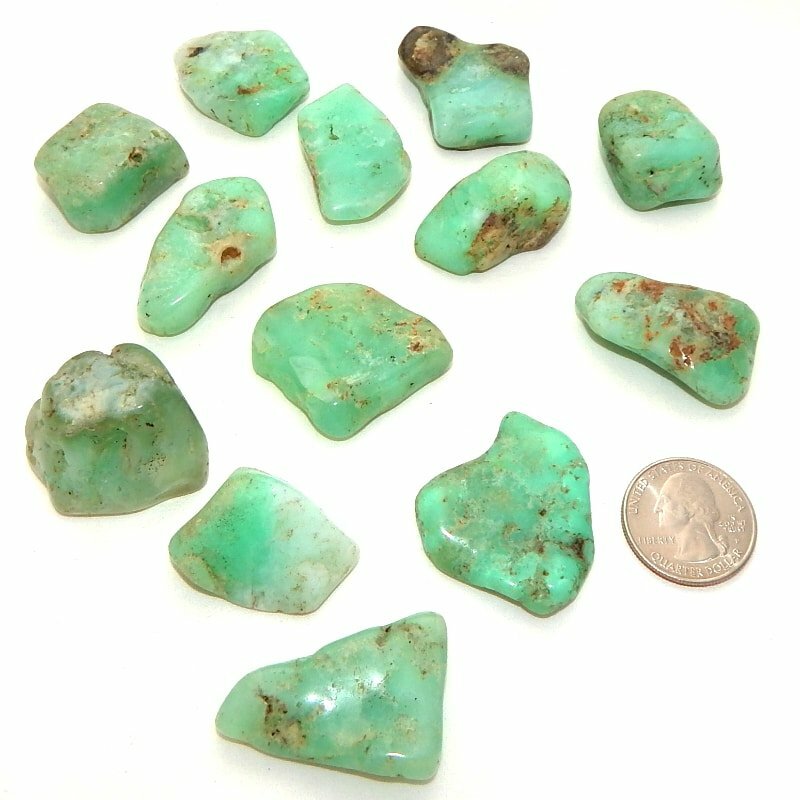 Spiritual uses: With its sea-green appearance, chrysoprase brings to mind the Atlantean age, a time of great abundance. 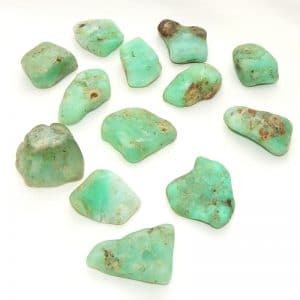 Mental uses: Chrysoprase heightens your compassion for yourself when you realize that your repetitive thoughts are attracting unwanted situations. Emotional uses: Chrysoprase is a heart chakra stone. 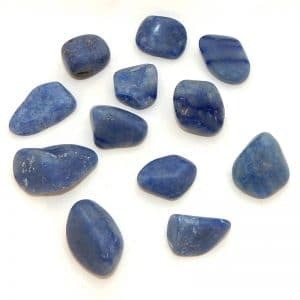 With this stone in hand, open your heart to give love and, even more important, to let yourself receive love. Physical uses: Chrysoprase reminds you to take a break and relax so that you can recharge yourself, not only physically but mentally, spiritually, and emotionally, as well.